This week’s header image comes: A Clockwork Ley-Line: The Borderline of Dusk, which was released this week on Steam and Denpasoft (NSFW). From The Team: Merry Christmas and Happy Holidays to all of our VNTS readers! What are you going to be doing for Christmas? Anything fun? I’m separated from all my friends and family this Christmas, so I’m doubly grateful for Skype and the ability to be with loved ones even when I can’t, y’know, be with loved ones. It’ll be mitigated by an endless stream of Harry Potter (I’m re-reading the series over the break and I’m currently on Prisoner of Azkaban), but I’m sure some of you out there are in a similar situation. I’ve been reading a LOT of Harry Potter since my semester ended. If you also like Harry Potter, I guess you can sit with me. On Wednesdays we wear pink. A Clockwork Ley-Line: The Borderline of Dusk (Sekai Project) – Released! Get the all-ages version on Steam, and the 18+ version on Denpasoft. Hoshizora no Memoria -Wish upon a Shooting Star- (Sekai Project) – Released! Get the all-ages version on Steam and the 18+ version on Denpasoft. Imouto Paradise! 2 (MangaGamer) – Released! Take a look/buy it here. 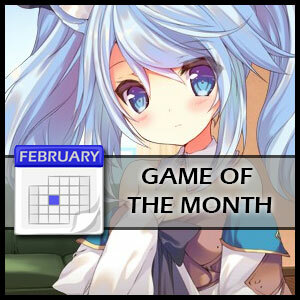 Mhakna Gramura and Fairy Bell (Sekai Project) – Announced this week. Releasing “soon.” Steam page (link). 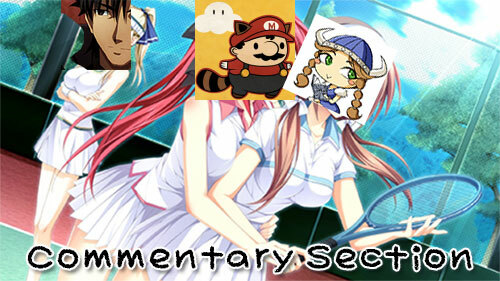 – Is a side-story to the Fault series, presented as an in-world fairy tale. My Little Sister Can’t Possibly Have A Hemorrhoid?! (Lyricbox) – Coming to Fakku “soon”! (link) SakuraGame will no longer be publishing it. Lyricbox is self-publishing the title and using an experienced VN translator (Cafe, known for euphoria). Nightshade Additional Scenarios (D3 Publisher) – Released! Get it on Steam here. 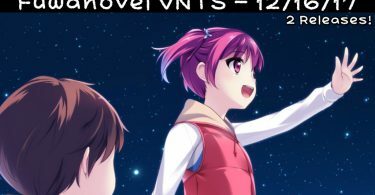 SeaBed (Fruitbat Factory) – Released! Get it on MangaGamer here or on Steam here. 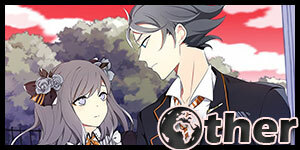 6 A Clockwork Ley-Line 1: The Borderline of Dusk A Clockwork Ley-Line: The Borderline of Dusk New! Decay’s MusingsThis is where Decay usually imparts a bunch of smart thinks to the rest of us serfs. 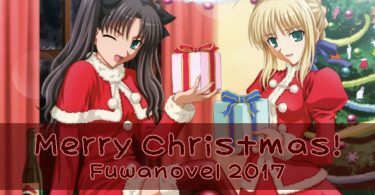 TAYsteful Thoughts™Some poor soul emailed me this week asking if I had plans on posting my usual Christmas post on the Fuwa blog. “You aren’t going to forget about it are you? 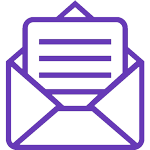 The blog may be dead but you CAN’T.” Don’t worry, concerned Fuwa reader, I got you covered. I’m pretty sure the annual Christmas post is, like, the only thing I’m qualified to handle these days. 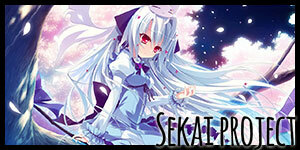 * SeaBead (Fruitbat Factory) released. Just a heads up that the Ley-Line release is pretty shoddy. It literally has untranslated lines left in the game. Makes you wonder if the game even went through any form of QC/ beta testing before release. Their Hoshimemo release have untranslated lines too. If I knew about it ahead of time I won’t be so suprised at them not delaying this time. Hey, potter fan, you have forgotten about Seabed’s release. Here’s my VNTS Review for this week – a very belated one at that, and unfortunately Sekai was messed up in regard of untranslated text there. I just hope that sooner or later Sekai will fix that particular problem. 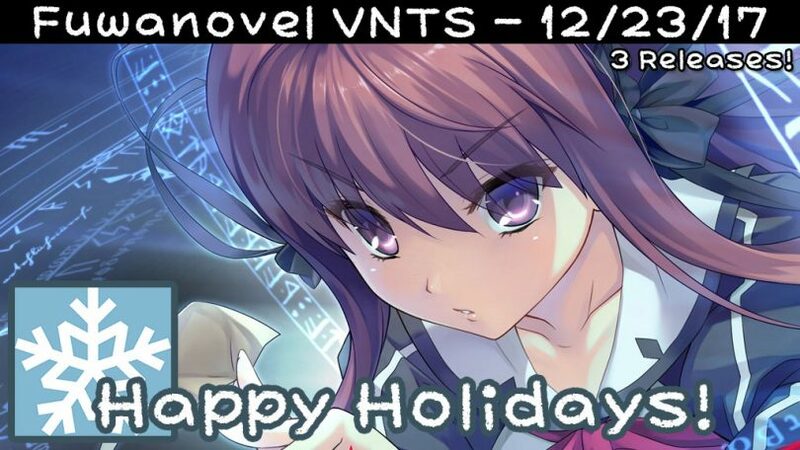 By the way, Merry Chrisymas to all of the reader and VNTS staff there. Where is Kami no Rhapsody? Is the project still running?